Get the most out of your music collection with this pro grade 3.5mm male-to-male stereo audio cable (3ft/1m) constructed to withstand repeated usage. Conveniently connect your smartphone, tablet or any other audio device to the AUX port of your home speaker system, portable speaker or car stereo and transmit audio in high fidelity. 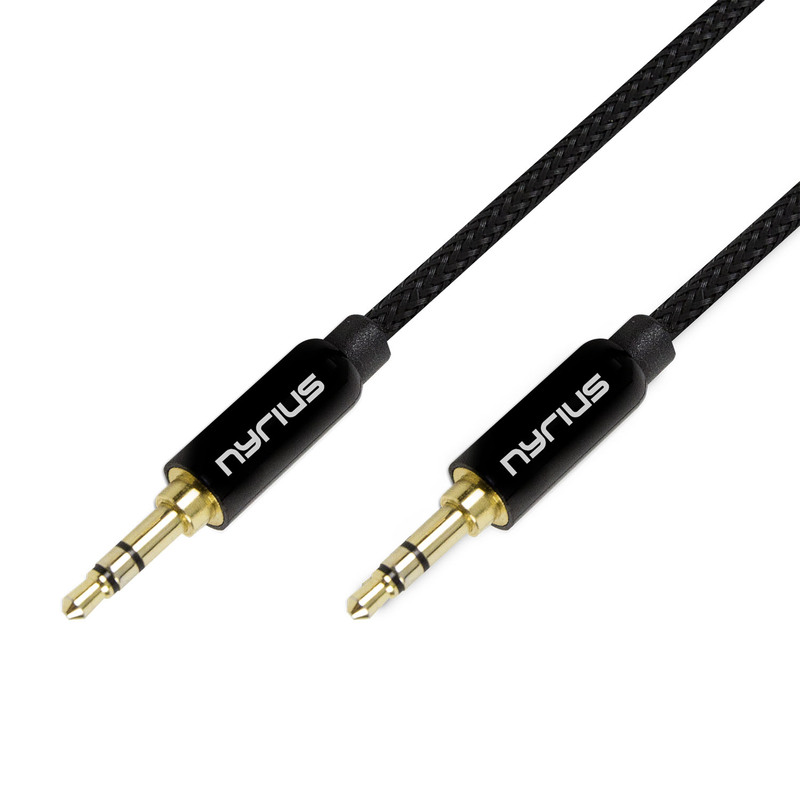 The Nyrius audio cable features braided nylon and rubber jacket, tangle free flexible cord, enhanced strain relief which withstands stress from bending, therefore maintaining superior signal integrity. Gold-plated connections and copper shielding results in a pure signal transfer and reduction in electronic interference for peak audio performance. Smartphone and tablet cases come in all shapes and sizes, which means you need a cable that’s fully compatible with all of these designs. With the metal headshell’s beveled step down design, you can securely connect it to your devices while allowing the plug to be fully seated without any physical interference from your case. Bring your smartphone to life and listen to your favorite podcast, playlist, or audiobook the way it was meant to be heard – in high fidelity through your car or home theater system. This convenient cable also makes barbecues & pool parties even better with music from your smartphone that can now be played on your portable or outdoor speakers. To use, just connect each end of the cable into the port on a compatible device, and you’re all set. The audio cable is fully compatible with any device equipped with a standard 3.5mm audio AUX input, output, or headphone jack. 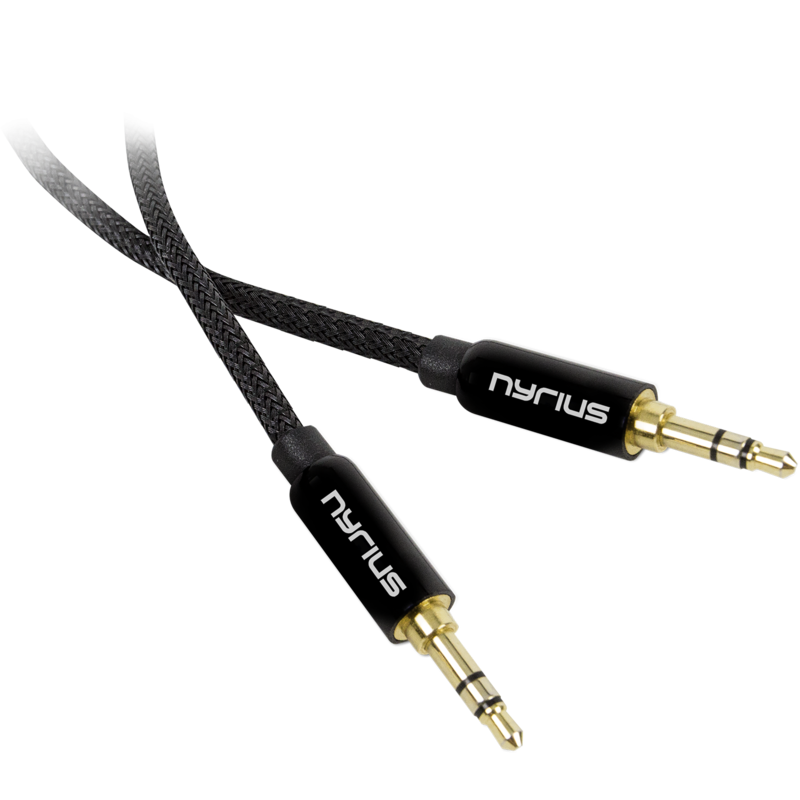 With the Nyrius stereo cable, just connect, press play, and feel the music!